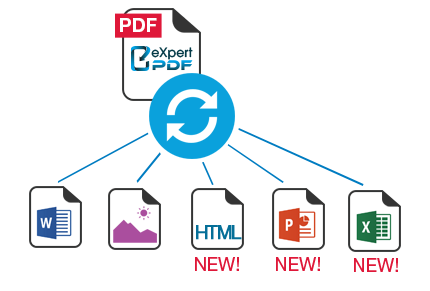 Convert PDF to Word, Excel, PowerPoint, HTML and image files. Using our professional PDF software, you can convert your documents with accuracy, at no loss of information: the elements and layout are fully recovered and thus become fully editable. 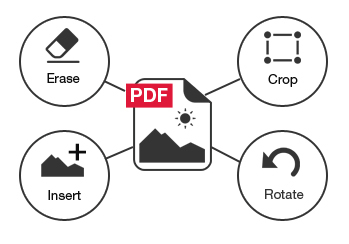 PDF conversion module directly accessible from the Windows desktop for faster use. Text editing: cut, copy, paste, move text, delete and adjust text properties (size, font, colour, character spacing). Picture editing: delete, add and edit images (resizing, rotation, compression). Manage bookmarks to navigate easily within PDF documents. Drawing Tools: inserting lines, rectangles, ovals, Bezier curves. Insert hyperlinks and URLs in your PDF documents. 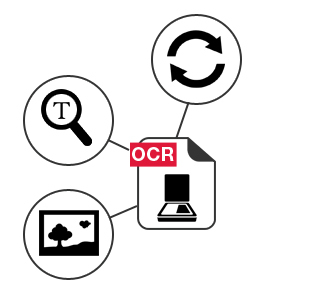 Conversion to PDF OCR, image or scanned document.